The Finlandia- and Runeberg Prize-nominated author of O returns with a dazzling, genre-defying novel that captures the zeitgeist of our time. Following his meteoric magnum opus, O, Finland’s rockstar literary savant is back with comparable brevity, with an astonishing new work about people, the difficulties in communication, and the interest in things, outside of their ontological being. In the author’s own words, it is ‘like a detective novel in a coma’ – denoting the intrigue but absence of movement or procedure. At midday, a twenty-something man is found dead in his office chair. Meanwhile, Herman Leorne is interviewing people for his Youtube channel, discussing the interestingness of things. Elsewhere, a mother with an eating disorder considers ending her life with an overdose of Botox. But how does all this tie-in to the significance of Sinatra’s My Way in karaoke history, stringent Subway™ staff training days, and iced coffee? 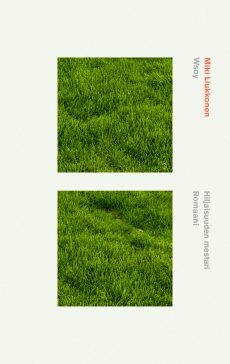 In its titular homage to Rimbaud’s reference to death, Liukkonen proves himself to be a seer of the big questions of the era, with influences of Foster Wallace and Mishima in evidence in this brilliant, new novel. English sample translation 59 pp.